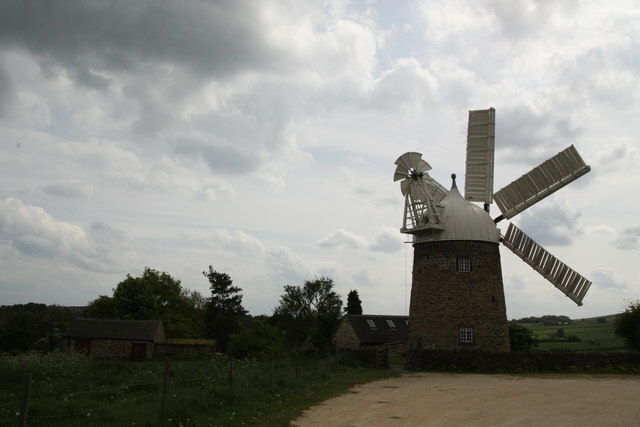 This view of the windmill is from the north west. It is quite difficult to get a complete image of the mill. It is a five vane windmill which is quite unusual. It has been completely restored and now grinds grain at regular intervals and is open regularly. To visit you would need to visit their web site to find the exact opening hours. © Copyright Malcolm Neal and licensed for reuse under this Creative Commons Licence.